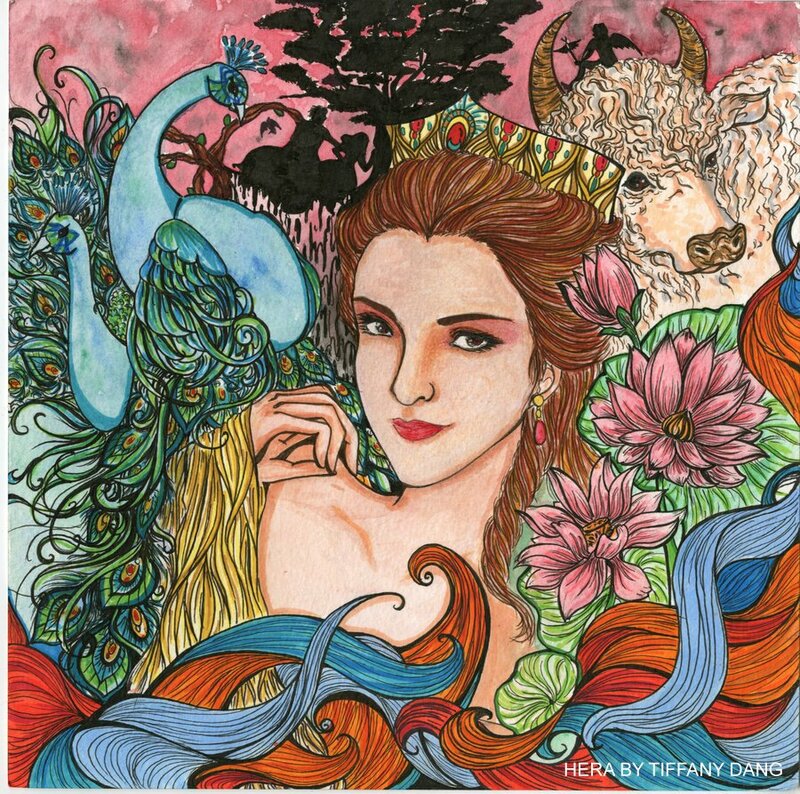 Before Her reign was overthrown as the Achaean tribes took over Greece Hera (Roman Juno) was the supreme mother goddess, a benevolent cow-eyed triple goddess of the earth and the sky, the creator of the Milky Way, which she painted in the heavens with the milk from her breasts. “As goddess of birth and death, of spring and autumn, Hera held the emblems, respectively, of a cuckoo and a pomegranate,” writes Patricia Monaghan. The chief god of her conquerors was Zeus. Naturally, his worshippers saw Hera’s widespread cult as a threat. An arranged (forced) marriage between the two deities seemed like an only solution. For Demetra George and many other contemporary devotees of the Goddess, Hera is “the image of the turbulent nation princess coerced, but never really subdued, by an alien conqueror. “ She may have been subdued, her old ways supplanted by the new patriarchal order, but she never lost an ounce of her glory, even though a lot of male authored myths made her into a jealousy-stricken, frustrated and manipualtive wife. Still, her chief emblem – the peacock – will always remind us of her unflinching haughtiness, pride and glory (for more on the peacock symbolism check out my post on the All-Seeing Eye symbolism). As much as she symbolizes the principle of relatedness, she also reminds us of a vital need to be just by ourselves, to renew our individual soul’s connection with heaven and earth, to figure out things on our own in order to renew the reservoir of our inner strength. The triplicity of her parthenogenetic offspring is a testimony to breathtaking feminine power: a force that today’s world is only learning to reckon with. Which nourish life, which ev’ry life desires. While reading this hymn a reflection came upon me. 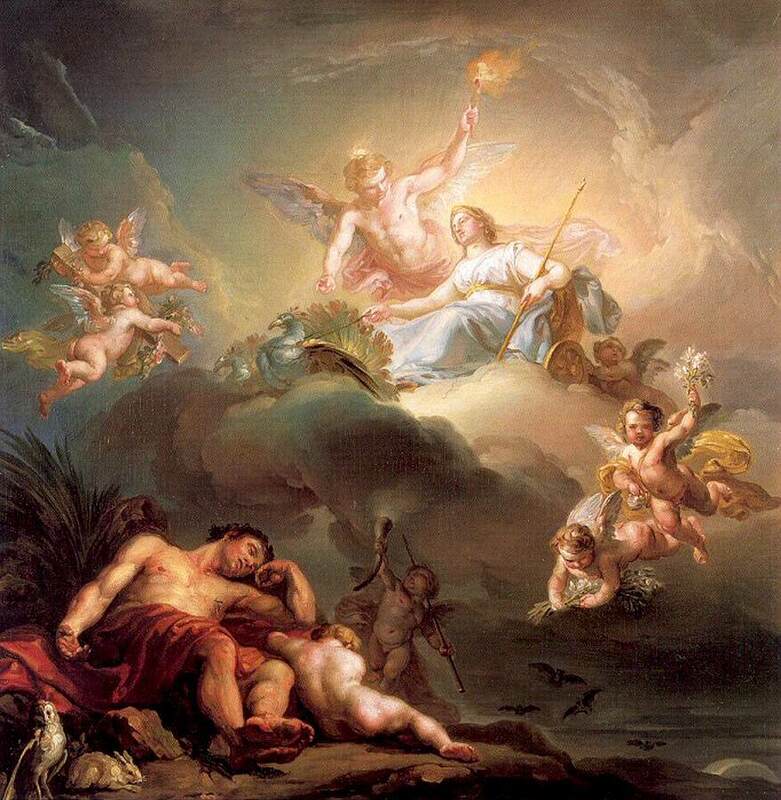 Both Hera and Zeus were sky gods, residing up in the clouds in their magic kingdom of eternal delights. When they were joined in matrimony both must have felt suddenly constrained and narrowly defined by the new role and responsibility of being a spouse. Hera chose steadfast commitment and poured her life and soul to perfect this union while Zeus never resigned from any of his freedoms. The hymn takes us deeper into the mystery of Juno, who was so much more than the faithful wife, though. According to Proclus, a Greek Neoplatonic philosopher, who was initiated into mystery cults derived from Chaldean Oracles, the Orphic theologians called her “the vivific goddess” and “the source of the soul’s procreation.” In Roman vocabulary, the juno was the female form of the genius – a protective guardian spirit of a person, who bestowed success and intellectual powers on those who showed him or her their devotion. Juno seems to embody our fertile spiritual core bound to earth and heaven. She can guide us to our inner shining brilliance and she can help us bring out our inner spiritual gifts for the whole world to see. Scholars connect the etymology of her name with youthfulness and vitality (Latin ‘iuvenis’ for youth), which is related to a Greek word ‘aion’ signifying a fertile time. It seems that her name suggests élan vital, the vital force and energy, which lies at the root of soul making. 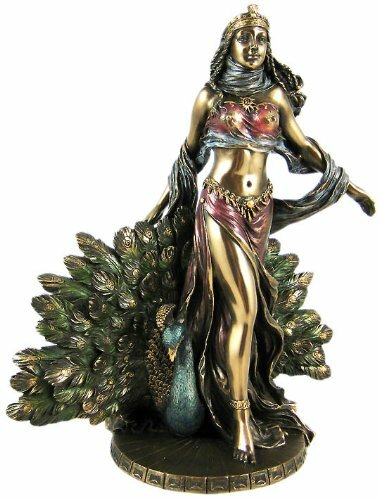 I have always felt close to Juno, having been born in June, her sacred month, and also having the asteroid Juno in conjunction with my Sun. In Rome, she was revered not only in June but also on every first day of the lunar month. 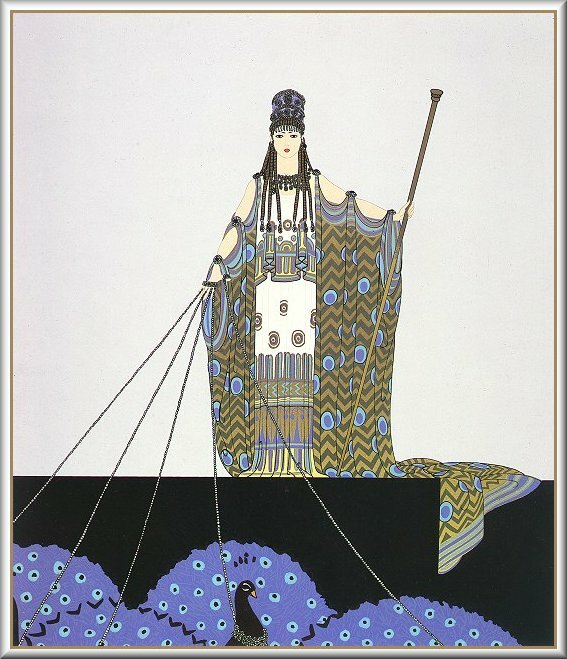 As a primordial goddess she was associated with the beginnings and with the god Janus, a two-faced god of transitions. As our culture is currently in the throes of transformation, I hope Juno will empower us and guide us into a more vibrant and life-affirming future. This entry was posted in Juno and tagged archetypes, astrology, goddess, Greek mythology, Hera, Juno, Jupiter, matriarchy, myth, patriarchy, Power, powerlessness, psychology, Roman mythology, Zeus. Bookmark the permalink. Thank you very much for such kind words. I am so glad you enjoy my writing. 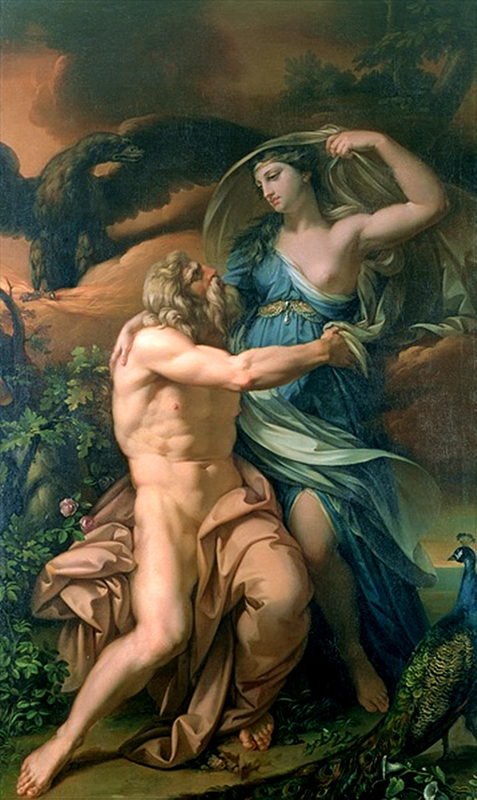 That the relationship between Hera and Zeus has at its source, an arrangement, forced, bears witness to the idea that the human psyche starts off unrelated. Although coming from a state of complete union, whether of the womb or even prior states of non-being or unborn, our human life form is one of separation, and so, we live in longing and strife born from longing. Along with all of the wonderful insights you have written of here, into how we can look to Juno in our very troubled modern times, maybe the myth is also telling us of our need to find our way back through the compromise that all relationships require. Here it seems Juno continues to lead the way in our soul-making. More and more I am coming to understand Hillman’s idea of soul-making as what takes place in mediation between us and all we encounter. It is perhaps a form of love-making whose child is that ability in us to cross bridges between self and other. Another wonderfully inspiring post dear Monika! I so much love your thoughts about soul-making as crossing bridges between the Self and the Other, Debra. I pondered what you said about the self being originally unrelated. Maybe so, but immediately there appears this strong longing to merge with the Other – Eros never stops looking for his Psyche. I am thinking of the mythologies of the East, how they always show gods together with their divine consorts… (Shiva and Shakti, etc). But still, Juno also reminds us that the alone time is very precious for the soul so that it does not get lost in the Other. Thank you for your wonderful reflections. Oh yes, I agree that immediately the separation becomes a longing for the other. It’s as if separation and longing happen together; one implies the other. That makes me wonder too, if it is indeed separation that brings about love, or at least is an expression of love. Maybe we experience the best of both worlds. The feeling of aloneness does have its benefits as we all have our unique character and fate. We are alone with that, and as you say, need alone time to feel the full extent of being a self separate from others. Yes – why would we need dry psychological theories if we have myth? For example, we may speak of Hera’s attachment issues but compared with the vast meaning and richness of myth, that would be so vacuous. Thank you, dear Debra. Yes, brilliant photos that really do capture the atmosphere of the city. Thanks for the link, Linda. Another excellent post from the Symbolreader. Thank you! The asteroid Juno is 20 Cancer today, conjunct my Uranus. What a wonderful surprise! Where’s the supreme mother goddess transiting in your chart today? Great post, Monika. I especially loved your quote from Proclus regarding Juno/Hera being the source of the soul’s creation. Yes, it is my number one revelation two and this is why I put it in the title of the post. Thank you, Jeff, for seeing eye to eye with me again. Your dedication to Hera is strong healing salve for me today. Incoming New Moon conjunct my natal Juno/Sun conjunction. Such painful relationship truths, “almost nothing worked as she had imagined “, yet also such joy and great strength. The alchemical relationships between mates is so profound – entering, knowing this takes great courage. You honor her beautifully. Thank you. So you also have a natal Juno/Sun conjunction? I am grateful you have found some healing in my writing. Thank you very much. Monika, thank you for a lucently beaming evocation of the vivific One. I have long associated Juno and Hera with the Great Celestial One, though in an ethereal sense that feels more sumptuously corporeal after integrating your exploration of Her. The Neoplatonic connection you bridged is fascinating to me, as earlier today I was reflecting upon their philosophy that the totality is the One, the One that generates true being, including being in the form of our emerging awareness of the Self and the Other. In this place she rules as a primal progenitor, and it also makes me think of how the two can unite into a third in her sacred bed of divine magic and merging. Juno as the source of the soul’s procreation is a beautiful thought bringing resplendent imagery to the substantive soul stuff underlying our living Uni-verse. I also thank you for giving the fleur-de-lis vaster meaning for me. My sense of Self and the Other emerged in New Orleans and I have taken the Crescent City’s symbol with me ever since. I had no idea before reading this that it is another symbol of Juno. 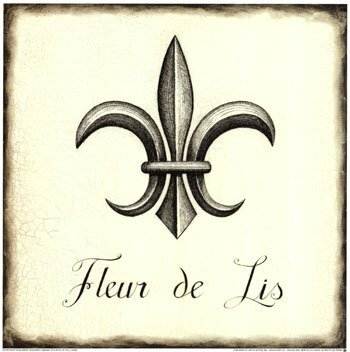 I have read that the band at the bottom of the fleur-de-lis symbolizes Mary who holds the Holy Trinity in some interpretations, the divine substance binding all, like Juno. Having love and compassion for ourselves and everyone oppressed or abused by power, going into solitude to re-emerge with procreative soul-making is a fitting tribute for the brilliant Juno. Thank you for such a wonderful comment. Amazingly enough, my students somehow spontaneously started to discuss natural selection and the peacock today. We also talked about beauty and whether it is universal or culturally conditioned, etc. Juno is all about these adornments that the goddess demands, about the beauty which seems to serve no practical purpose but just to dazzle and enchant. The mating dance that Juno presides over is indeed about reproduction but not only in the literal sense but also about two souls meeting and creating something beautiful together. About Neith from your second comment I can only agree wholeheartedly. Juno had a warlike aspect, too. Those primordial goddesses were never meek. So beautiful Monika, and a revelation of you embodying procreative source that your students would begin discussing natural selection and the peacock. 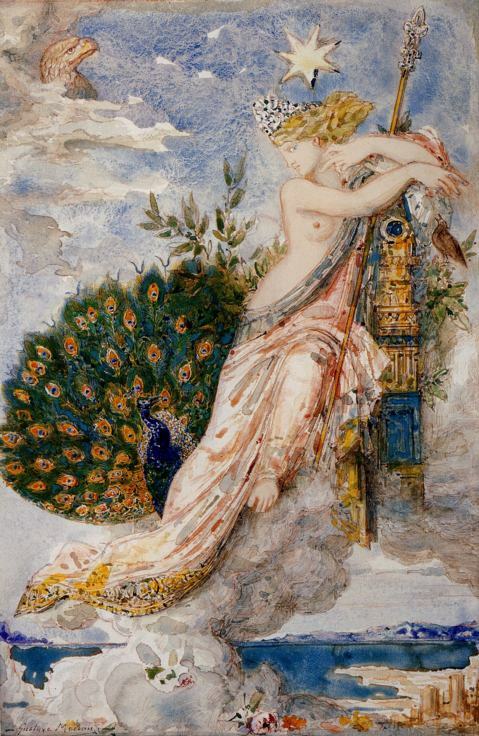 As you wrote in your “all seeing eye” post earlier the peacock is also alchemical and a mesmerizing companion to Juno. “Two souls meeting and creating something beautiful together” is the energy of Juno, the motion of Soul, the Anima in the Animating. The peacock is a species in the natural selection paradigm pointing toward the significance of this primal dance between self and other as well. Juno being warlike also makes sense as she was never a passive victim of Jupiter’s excessive exploits transgressing the boundaries of the Other. I agree that it seems Juno and Hera were turned into jealous and vindictive wives by a re-interpretation through a patriarchal worldview, yet her primordial power is nonetheless evident in her being an equal to Zeus and Jupiter who never took anything from him meekly. I love your imagery of Juno distilling and re-sourcing in a sacred spring, it is lovely to contemplate. As I am getting so many wonderful comments on this post I have realized that Juno also tells us how we like to be wooed, what stirs our soul to procreate, and for my Gemini Juno this will be the beauty of words. I also really like your idea of the Anima in the Animating. I always learn something, or have some internal revelation, after reading your mythology posts. Thank you for another wonderful piece. Thank you, thank you, thank you for deepening Juno consciousness! I´ve been having another round of the asteroid goddesses recently (it was several years ago I took a closer look of them with the natal charts of my friends), having thinking about also writing a little poem of each of the most known ones. I have also experienced great synchronicities with another person´s chart concerning Juno – among other things – including the time we met (like they being natally in conjunct and us meeting when we both had the return of it). PS. Exactly: We both have Juno 10 degrees in Aquarius (his being in his 1st House). I am so glad I helped you with your research. I believe Juno is so important in synastry, in transits and in progressions. It would be great to read your poems about the asteroids. Thank you so much, Deelia. I remember hearing so much about Zeus but not so much about Hera/Juno, so it’s great to learn more about her side of things. An amazing goddess to have released much of her power by marrying Zeus, but finding new purpose afterward. She’s much more devoted to the commitment of marriage than Zeus, and I love the part of her representing time to be alone for reflection. Those are fertile times for discovery and, as you put it, the soul’s procreation. Hi and thank you very much for your comment. Perhaps a story of no other goddess has been distorted as much as hers. I wanted to offer my point of view and I am glad that it resonated with quite a few readers. Thank you. You have provided a wonderful intellectual accompaniment for a profoundly wordless experience I had today, a new perspective on a problem, and inspiration (Juno) for a project I am working on – all from one post! I am so very grateful for your generous sharing of words and thoughts! This is wonderful beyond words. Thank you very much for sharing. What a gifted teacher you are Monika! Thanks, Linda. I have also learnt to appreciate the asteroids more and more recently. I agree with Demetra that their emergence was the sign of the returning sacred feminine. I do see myself as a Juno “kind of gal” but it is squared by Lilith and Vesta in my chart, which can indicate an intense inner conflict. I am especially proud to have Hekate on my Ascendant, though.